According to Forbes, Bill Gates owns the most expensive book ever sold. In 1994, Gates paid an astonishing $30.8 million (accounting for inflation, that would be roughly $49.4 million today) for Leonardo da Vinci’s Codex Leicester. This original hand-drawn manuscript, compiled between 1506 and 1510 by the Renaissance polymath and artist, is one of only 20 notebooks by da Vinci still in existence. The Codex contains sketches, notes, and ideas, all transcribed in his special right-to-left “mirror writing." 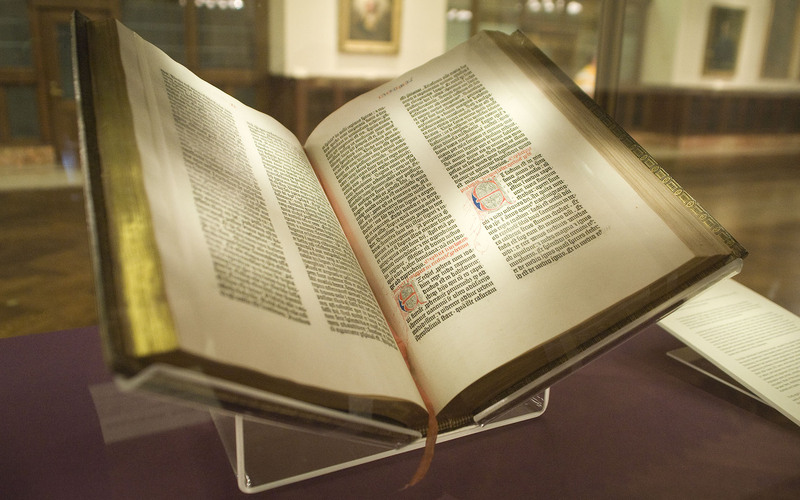 The Gutenberg Bible is probably the most valuable book (or type of book) in the world. It was the first book to be printed (c.1455) using modern moveable type, a process that revolutionized the book trade (before that, all books had to be meticulously copied by hand or printed with woodblocks, a process that took many months). Only 180 were originally printed, of which 49 survive today; of these, only 21 are complete. Nearly all Gutenberg Bibles are owned by museums, libraries, or institutions, but such is their rarity and value that if one were to come up for auction on the open market it would likely fetch many millions of dollars. The Whole Booke of Psalmes Faithfully Translated into English Metre, also known as the Bay Psalm Book, was the first book to be printed in what's now the United States. About 1,700 copies were printed during the 17th century by Pilgrims in Massachusetts, but today only 11 copies are known to exist. In 2013, it also became the most expensive book ever sold at auction, after it was purchased for $14,165,000. The world’s largest book is not a book in the conventional sense, but a series of huge stone tablets surrounding the Kuthodaw Pagoda in Mandalay, Myanmar. The more than 700 marble tablets (each one over 5 feet tall and 3-and-a-half feet wide) tell the story of the tipitaka, the central text of Theravāda Buddhism. When built around 1860, the tablets’ dense writing was filled with golden ink and decorated with precious stones, but unfortunately when the British invaded in the 1880s, the soldiers looted the ink and gems. The Guinness Book of World Records gives a more standard type of book the record—they say the world’s largest book is a 2012 text on the Prophet Muhammad created in Dubai and measuring an impressive 16.40 ft x 26.44 ft. Going by word count, the longest conventionally published book in the world is generally said to be Artamène,ou le Grand Cyrus (Atarmene or Cyrus the Great) a 17th-century romantic novel by Madeleine de Scudery. The 10-volume work has over 10,000 pages and is 2.1 million words long (to give some context, the famously meaty War and Peace contains only around 560,000 words). The world’s smallest book is so very tiny it can only be read using an electron microscope. Teeny Ted from Turnip Town was written by Malcolm Douglas Chaplin and was printed using pure crystalline silicon by his brother, Robert, at Simon Fraser University in British Columbia, Canada. The 30-page work measures 70 micrometres by 100 micrometres, and is so small it could fit on the width of a human hair. Charles Dickens’s A Tale of Two Cities, published in 1859, is the bestselling novel of all time, moving an incredible 200 million copies worldwide. More recently, E. L. James’ trilogy Fifty Shades of Grey has breached the 100 million copies sold barrier, and J. K. Rowling’s Harry Potter series of books have sold over 450 million copies worldwide. 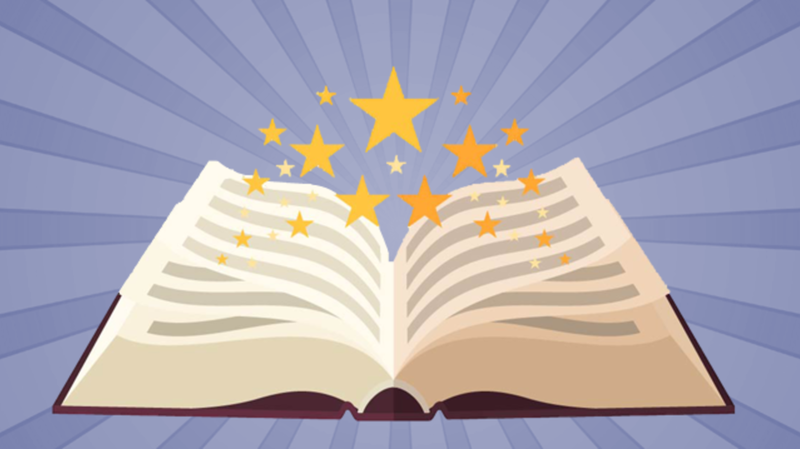 It is safe to say that the Bible is the best-selling book of all time, as it has been widely estimated to have sold over 5 billion copies. It's also been translated in its entirety into over 394 languages (2123 languages have at least one book from the Bible translated into that language) and has been sold all over the world since the very first book came off the printing presses.